Meet Glen Campbell was Glen’s first album of new secular music since 1999’s My Hits and Love Songs, which was a two disc set with one disc being a greatest hits collection and the other disc new recordings representing Glen’s takes on various pop hits and pop standards of the previous decades. Before that the last Glen Campbell album of truly new material had been Somebody Like That, which was released in 1993. The standard release of Meet Glen Campbell contained ten tracks from a variety of sources. This is followed by a pair of Tom Petty compositions in “Walls” and “Angel Dreams”. The arrangement of Walls” at times reminds me of “Galveston” with its heavy use of orchestral arrangements (the intro particularly reminds me of “Galveston”. “Angel Dreams” has a more acoustic arrangement with banjo evident in the arrangement. “These Days” is an old Jackson Browne song from the late 1960s, that Browne recorded for his second solo album back in 1973. This track has less orchestration that “Times Like These”. I’ve never been a big Jackson Browne fan but I’ve always liked this song. Next up is a pretty ballad from, the pen of Paul Westerberg, “Sadly Beautiful”, I’m guessing that I hear a viola in the arrangement, but I could be wrong. “All I Want Is You” from U2’s album Rattle and Hum. I do not like U2 at all but I do like Glen’s recording of their song. Again, this sounds like an Al De Lory arrangement. I don’t normally think of Lou Reed (Velvet Underground) as writing religious material, but “Jesus” is an excellent song, one that I can easily see as appealing to Campbell. Billy Joe Armstrong wrote “Good Riddance (Time of Your Life)”. Glen’s version here features some nice mandolin work by George Doering. The standard version of the album closes with a John Lennon song “Grow Old With Me”, a song intended for release on an album Lennon never got to make. Glen’s vocals are spot on, but I feel that the instrumental accompaniment should have been a little more subdued. Some things require time to fully appreciate. I am now 63 years old and my wife and I have been married for forty years. These lyrics mean much more to me today than they did when first I heard them. 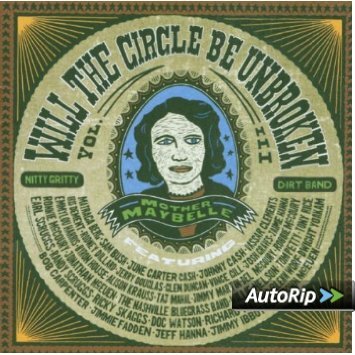 The Limited Edition, available only at Walmart, featured some remixes of some earlier hits, notably “Gentle On My Mind”, “By the Time I Get to Phoenix”, “Wichita Lineman”, “Galveston”, and “Rhinestone Cowboy”. The remixes are very good and do no violence to the originals. This album features an update version of the Al De Lory sound that propelled Campbell to stardom in the late 1960s. Although I prefer De Lory’s arranglements, producers Julian Raymond and Howard Willing did an admirable job of replicating and updating the De Lory sound. De Lory was still alive when these tracks were recorded in 2008 (he was then 78 years old) – I wonder what he thought of this album. This album introduced (or re-introduced) me to a group of songwriters that previously I had overlooked or ignored. If Elvis was the King, Carl Perkins was the commoner who became a widely respected elder statesman of rock and roll music. Much more of a country boy than Elvis Presley, Carl Perkins perhaps saw his shot at superstardom ruined by a car accident that killed Carl’s brother Jay and put Carl out of commission just as his hit “Blue Suede Shoes” ascended to the top of the country charts (it would reach #2 on the pop charts). He was well liked in the music community and while Carl was at a low point in his career (and in battling personal demons), Johnny Cash added Carl as parting of his road show package. Carl would spend ten years touring with Cash. While part of the Cash show, Carl penned “Daddy Sang Bass” which would spend six weeks as a country number one for Johnny Cash, and Tommy Cash would have a top ten record with another Perkins composition “Rise and Shine”. In 1991 the New Nashville Cats (Mark O’Connor, Vince Gill, Ricky Skaggs and Steve Wariner took Carl’s “Restless” back into the country top thirty. Unlike some singers who sound good only when performing their own hits, Carl seemed to be able to sing anybody’s material and make sound as if it was especially composed for him. 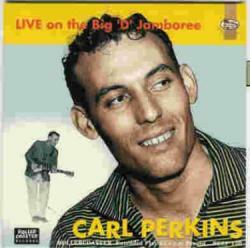 Virtually any Carl Perkins recording is worth hearing. Texas-based Aaron Watson is one of the best kept secrets of Texas country music, less Red Dirt and more what used to be mainstream country. His voice has a cracked warmth and character, and he is a talented songwriter to boot, writing most of the songs without outside assistance. Although I don’t feel the material here quite matches up to the best of his songs from previous efforts, it is generally very good. This album, Aaron’s tenth overall, was recorded mainly in Austin. I can’t see any producer credits, so assume Aaron filled that role himself. The awkward phrase “knees and hands” (inserted thus to allow for a rhyme) jars a little, but this is a memorable song based on an arresting image. Does a shooting star miss the sky when it hits the ground? And how long can a woman go on lovin’ you if you’re not around? It is the road, though, that forms the principal focus. ‘The Things You’ll Do’ opens as an ebullient up-tempo look at life as at touring musician on the road, rough bars and bar fights, sleeping in vans and not getting paid are quenching his love for making music. The second verse translates the message to sacrifices made for love of a woman.